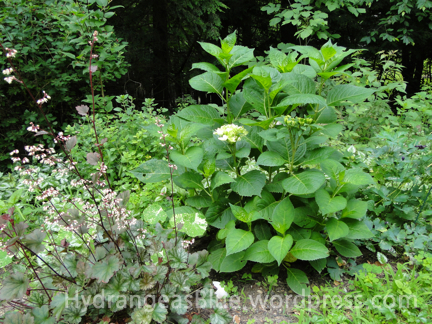 Last year I dug up two offshoots of my Blushing Bride hydrangea. The shrub was becoming large, and as the limbs hung down to the dirt, they became rooted. After letting them grow this way for a year, I cut them off from the main plant and dug them up. 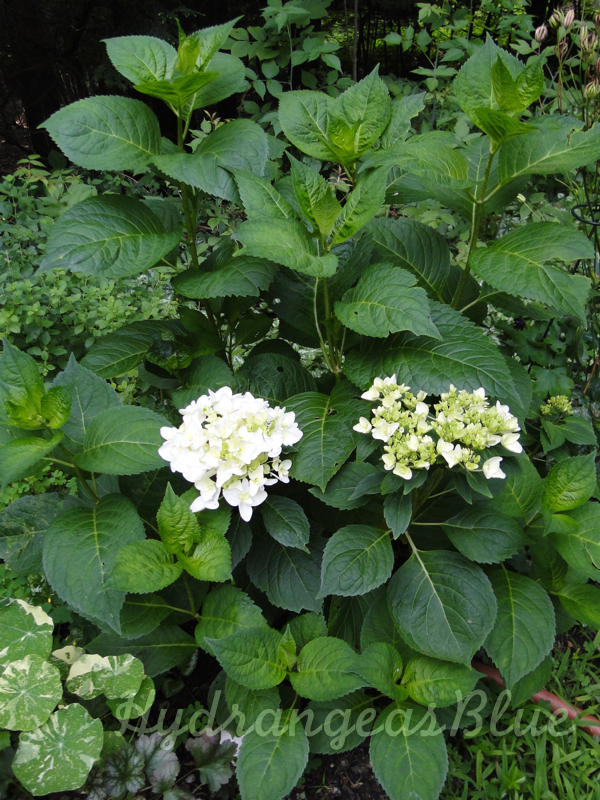 I ended up with two nice size little hydrangea plants. Both were planted in my backyard last spring and they are looking good this year. One in particular is doing very well and has two flowers. I had named it #1, and it was samller than the #2 plant, but it’s doing better. I think it gets more sun than the other one, which helps with flower production. That is it in the first image, taken last year after it was just planted in June. Below is how it looks in July this year – just one year later! 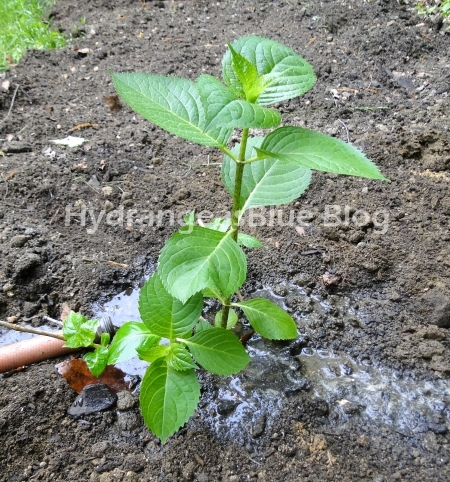 I’d love to transplant some new blue hydrangea bushes, but I can’t seem to get mine to grow enough to give me new baby plants. I’m also running low on space to plant perennials. The blooms on my new plant are large and beautiful (picture below). In fact the original Blushing Bride plant has no blooms at all this year. The ‘baby’ looks better than it’s mom. It’s all in the location and sun exposure. 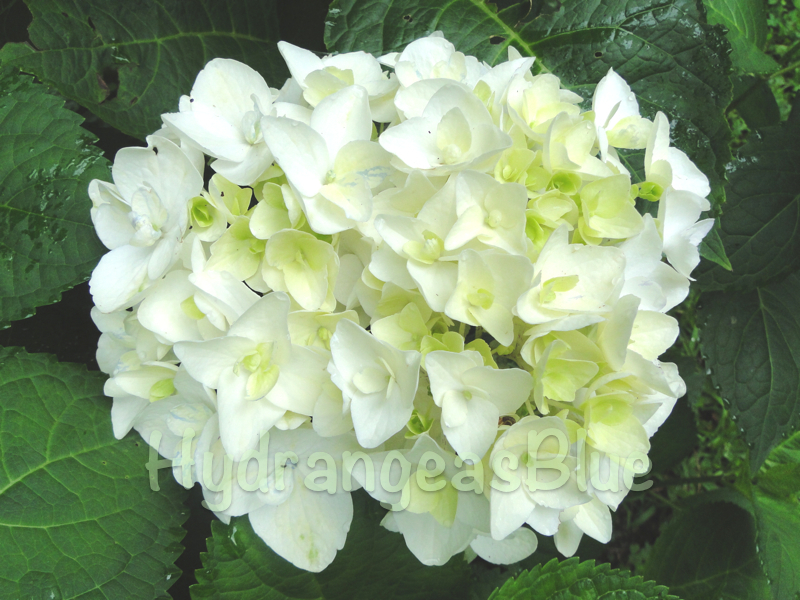 Hydrangeas don’t need a lot of direct sunlight, but they do need a good measure to create flowers.